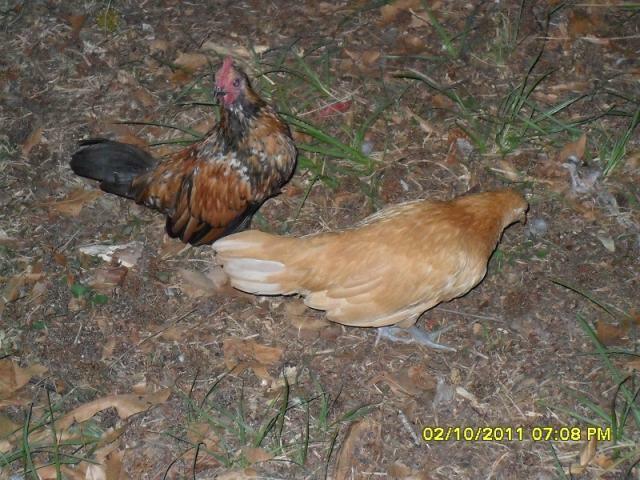 to start the main type of chickens i like to keep are the bantam sized ones. 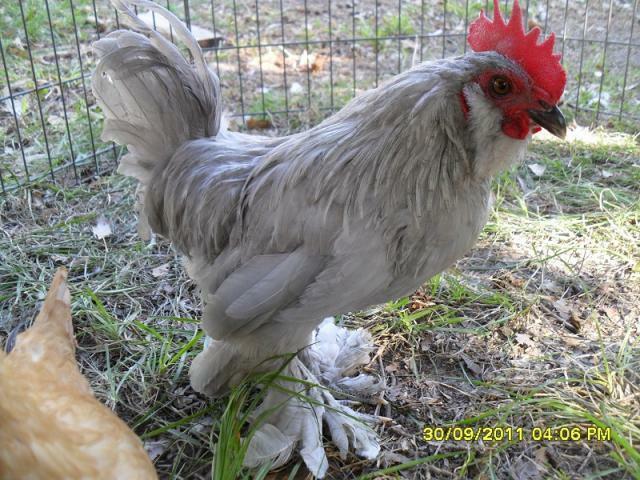 i only have 3 and they are 2 oeg and one self blue d'uccle. i have just resecently ordered some more d'uccle eggs and one day i want to get some silkies and frizzels also. ok so my eggs have yet to arrive like they were supposed to, stupid post office. i am currently waiting and hoping they get here monday. blue boy is starting to get a bit of an attitude thinking he is big man roo and i am under him lol. he is very protective of his two lil oe flock mates to, if you try and catch one of them he will come after you. he has pecked my 3 year old on the check for trying to pick him up and if he doesnt lose the attuitude idk what i am going to do with him. 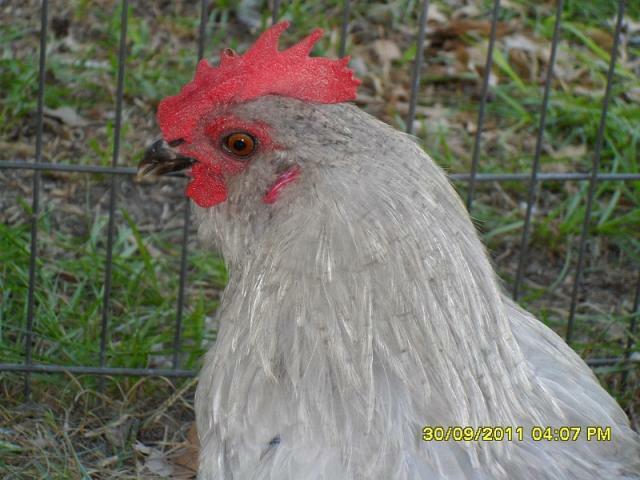 he is a beatiful chicken and i really dont want to get rid of him. 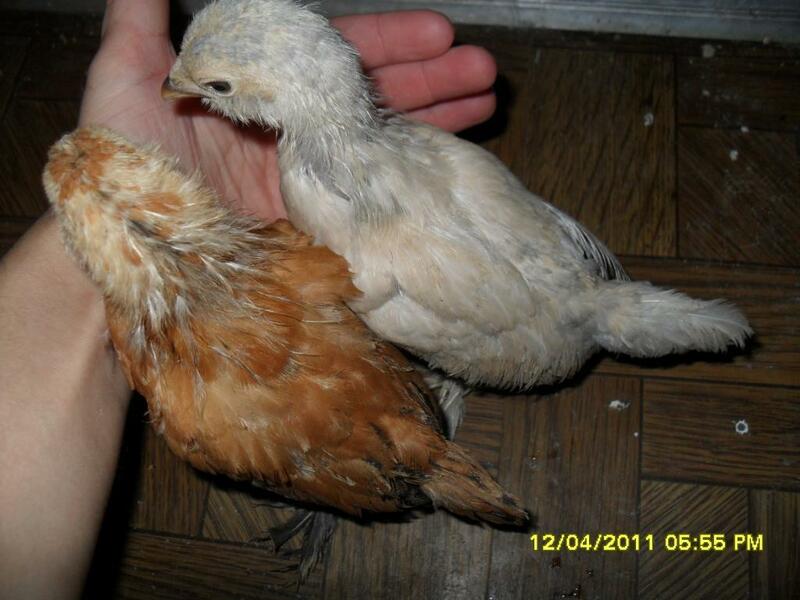 here are my 2 new babies that i hatched from my shipped eggs. they hate it when i soak their feet every other week to get the poo they step in out of their feathers, it sticks to them like glue lol. 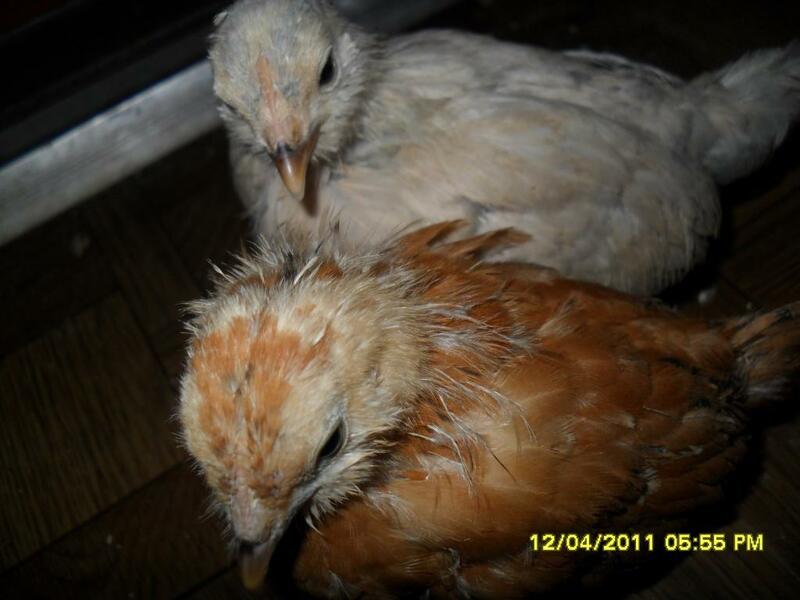 i should know weather they are pullets or cockrals by the 1st week of dec. i am also recording their growth to see if there is a difference to feathering in as well, i did the wing sexing after they dried off from hatching and they both looked like they will be girls. so i will find out in a while what gender they are and if i wing sexed them right (hope so but i have my doubts).